Civil / Structural Engineering – O'Donnell Consulting Engineers, Inc.
We perform civil and structural design, analysis, troubleshooting and repair of civil and structural components. 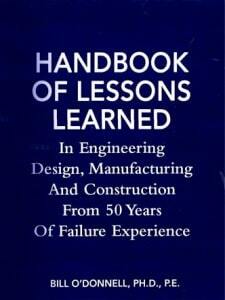 This includes troubleshooting of in-service problems such as cracking, buckling, corrosion, etc. Technical monitoring of the manufacturing, fabrication, welding, installation, construction, inspection and testing of systems, equipment, and facilities. Minimizing down-time, and developing sound, cost-effective engineering solutions to assure safe, reliable future operation. Supporting architecture/ engineering firms in construction of buildings, power plants, facilities, and structures. Design optimization and virtual prototyping to reduce production costs. For a more comprehensive list of components we have worked on, see Industries Served. We also perform structural inspections and integrity analysis from damages resulting from earthquake, storms (wind, hail) and floods.